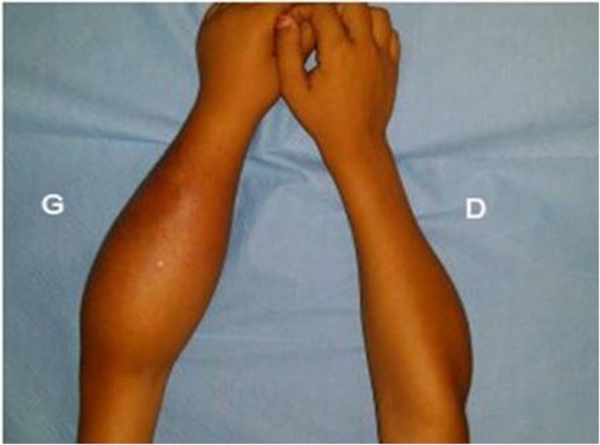 An 8-year-old Moroccan girl presented to our institution with painful swelling of both forearms which initially appeared on her left forearm and 6 months later on her right forearm. Her family history and medical history were unremarkable. 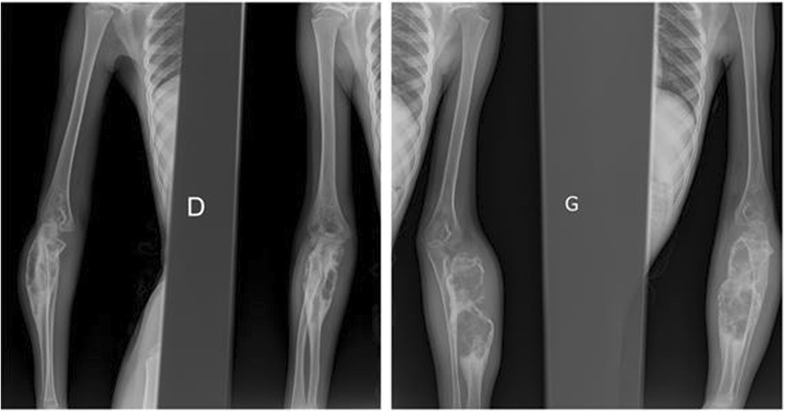 Given the exacerbation of the pain she consulted a doctor who obtained plain radiographs and noted a lesion in both forearms. She was then referred to us for further evaluation. She reported that despite daily use of nonsteroidal anti-inflammatory medications and narcotic analgesics, the pain in her forearms continued to progress. On physical examination she had no fever and had a good general condition. She presented a swelling in the upper third of her right forearm and the upper two-thirds of her left forearm with inflammatory signs. Laboratory studies found a moderate anemia (hemoglobin at 10 g/dL) and a white blood cell count of 11,210/μL with 80% neutrophils. Her C-reactive protein level was 60 mg/L. We obtained plain radiographs that showed: an osteolytic lesion of the upper one-third of the right ulna and osteolytic lesion of the upper two-thirds of the left radius. On both forearms, we did not note mineralized matrix production, but a cortical breakthrough and internal trabeculations were present. We therefore performed magnetic resonance imaging (MRI) (Fig. 3) which showed: an osteolytic lesion mass (arrow) of the upper one-third of her right ulna and the upper two-thirds of the left radius. The mass was invading her elbow joint whose matrix was in hyposignal T1, hypersignal T2, and short T1 inversion recovery (STIR), containing septa and enhanced annularly after injection of gadolinium. The lesion began in the diaphysis and crossed the physis. A soft tissue mass and cortical breakthrough were noted. A soft tissue edema was also seen. A biopsy curettage of her left forearm was done. A histopathologic examination revealed a proliferation of histiocytes with an infiltration of eosinophils. These histiocytes were positive for S-100 protein and for CD-1a. No chemotherapy was necessary. Our patient’s symptoms disappeared after a short (5 days) period of nonsteroidal anti-inflammatory therapy. A repeat X-ray was obtained and showed a partial improvement of the osteolysis. She remained asymptomatic after 6 months. But she had been taking NSAIDs before presenting in your OPD and she did not get any relief!!!. 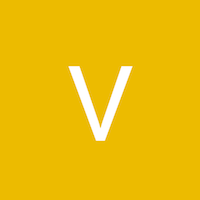 Could you specify which NSAID had been prescribed ?